There are several places you can go this Saturday night to celebrate the New Year with some of metro Atlanta's most talented performers! At Nicola's, you can party with Samora and Suzanne (and Nicola, of course) and enjoy a delicious Lebanese meal and a champagne toast. Tickets are $50 at the door, but you can buy them in advance from Samora for just $35. Dancing starts at 9:00. Send Samora an e-mail for details! Sinbad's Feast in John's Creek will feature the very fabulous Amani Jabril, along with a special Persian feast for just $30 per person. Give them a call at 770-622-6409 to make reservations. Fanoos Persian Cuisine in Sandy Springs is offering a buffet and entertainment from a Company Mezza dancer for $60 per person. Reserve by Wednesday the 28th at 404-256-2099 and get a $10.00 discount! 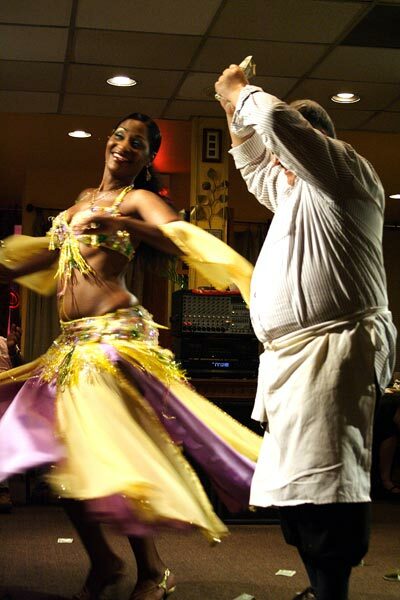 At Taverna Plaka, enjoy belly dancers performing with fire and swords, social dancing with three DJs, Greek line dancing and more! Regular menu 5-7, $45 per person menu (including a shot of ouzo) 7-9, and $60 per person menu (ouzo and another drink included) after 9:00. If you pre-pay today, you'll get a discount! As always, keep an eye on the Yalla Y'all Calendar page for all the upcoming events in 2012! Workshop with Bellydance Superstar Moria Chappell March 10! Big news! First, did you know that the new Bellydance Superstars tour, "Club Bellydance," will be making a stop in Atlanta on Friday, March 9? Sabah (famous for her ballet fusion), Lauren, Atlanta's own Moria, Stefanya, and Sabrina will be featured in this performance at Oglethorpe University's Lupton Auditorium. With a smaller cast and smaller venues, the new show is designed to give the BDSS dancers an opportunity to try out new ideas and choreographies not possible in the full theater show. And the big news is that in each city, performers from the local bellydance community will provide the first half of the show! So far, we know that Awalim Dance Company will be sharing the stage with the superstars... other local performers will be announced. Tickets are on sale now! 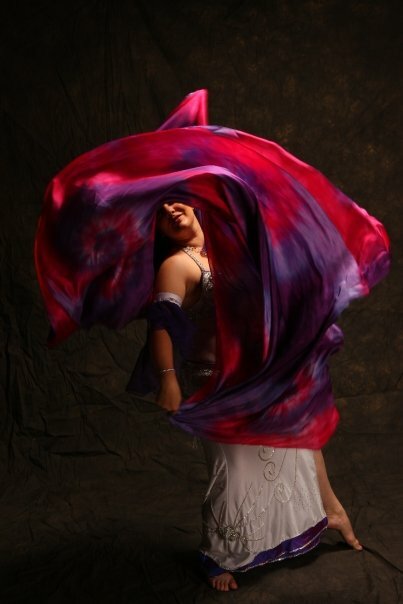 Along with the show, Ziah and Awalim will be sponsoring Moria Chappell in a "Fusion Fundamentals" workshop on Saturday, March 10 at Atlanta Fusion Belly Dance. A former member of Awalim, Moria has gone on to become one of the leading lights of Tribal Fusion, and has been performing and touring worldwide since 2005. Click here to learn more and to preregister! There will be some really exciting workshops in metro Atlanta next year! Some very popular teachers will be returning, and we'll also have the chance to study with a few dancers who rarely make it to this area. Mark your calendars and start saving your pennies! Brought to you by World Belly Dance Alliance. Alicia was a huge hit here in 2009, and she's back with all-new material. Alicia will be teaching three groups sessions and a special semi-private session called "Eye of the Storm." There will also be a big show at Pera Saturday night! Produced by Ziah and the Awalim Dance Company, the Southeast's premiere dance and music convention is back for its eighth year. 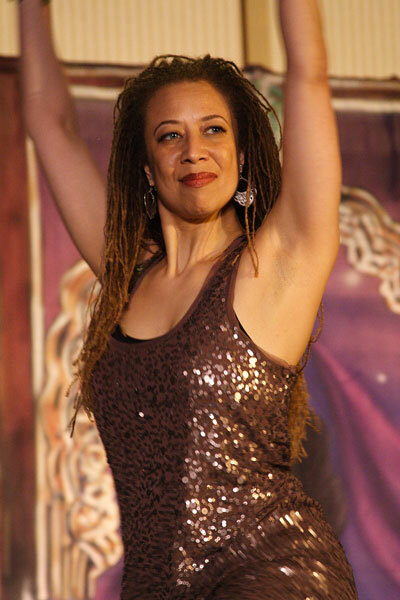 Dance teachers include Tamalyn Dallal, Zoe Jakes, Ariellah, Megha, and Ziah herself; music instructors will include Al Cofrin, August Hoerr, Dave Machek, Dennis Proteau, and Faisal Zedan. In addition to the classes and lectures, there will be two shows (including a Friday night show with all live music) delicious dinner buffets, an amazing live music hafla, and fabulous shopping! 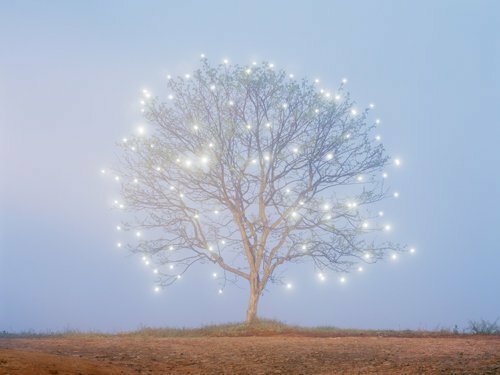 Our own Amani Jabril will be bringing two amazing performers and instructors for a weekend focused on the connections that allow us to create a performance. Kitiera's sessions will be all about connecting with the body; Yasmine will focus on connecting with the rhythm, and Amani -- a master of stage presence -- will offer a session on connecting with the people. Lacy Perry and Beledi Boutique are bringing the one and only Carolena all the way across the country for a series of master classes in American Tribal Style! The General Skills and Teacher Training sessions are already sold out, but you can ask to be put on a waiting list in case anyone cancels. If you are already a Teacher Training graduate, a Teacher Training 2 session is still available. I am hoping for an awesome show to accompany these workshops! Ziah is at it again, bringing an all-new summer workshop intensive with three legendary teachers, focusing on the origins of fusion styles, including West African dance, Flamenco and its influence on ATS, and North African dance. Details will be announced very soon! 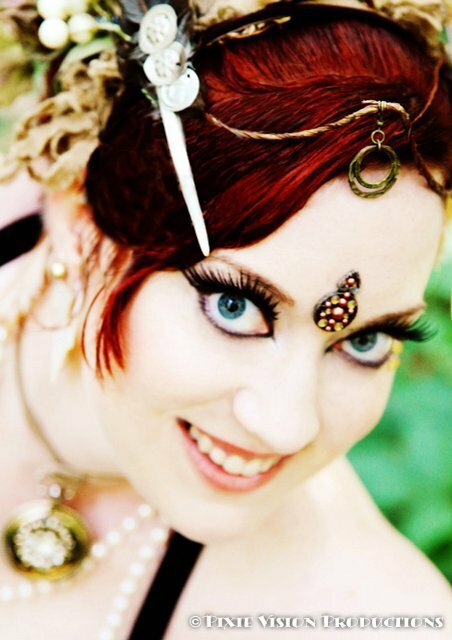 Atlanta Fusion Belly Dance brings two legendary performers to Atlanta. Stay tuned for more information! one or two things about Christmas. the sponges are secretly building. THIS Saturday, December 10, from 2:00 to 4:00, learn the beautiful art of dancing at with two silk veils from Mina, a master of the craft! Click here to pre-register. Some lovely silk veils will be available for sale, if you're in the market for a new one! My apologies for thinking this was last Saturday!